Dallas Stars Camo Warm Up Jerseys!! 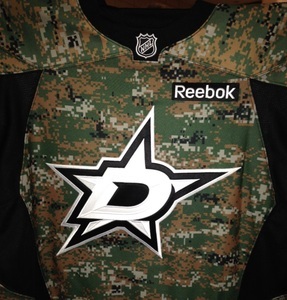 NHL Auctions and the Dallas Stars are giving you the chance to bid on special edition Camouflage Dallas Stars Jerseys worn on the ice during warm-ups of the Dallas Stars vs. Nashville Predators game on March 28, 2014. Proceeds benefit Defending the Blue Line and the Dallas Stars Foundation. Jersey includes certificate of authenticity. Bid on Jerseys from your favorite players including Jamie Benn, Ray Whitney, Tyler Seguin and Tim Thomas!! NHL Auctions and the Dallas Stars are giving you the chance to bid on Colorado Avalanche warm-up used and autographed sticks!! These sticks were used before the November 20, 2010 game between the Colorado Avalanche and Dallas Stars. Choose from sticks used by Chris Stewart, Brandon Yip, Milan Hejduk, Matt Duchene and more!! Proceeds benefit the Taylor's Gift Foundation!! 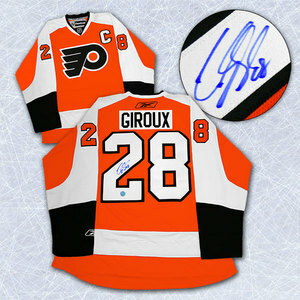 NHL Auctions and the MeiGray Group are giving you the chance to bid on worn practice jerseys from your favorite team!! Choose from jerseys worn by Alex Tanguay, Ryan Kesler, Ryan Callahan, Brooks Laich and more!! 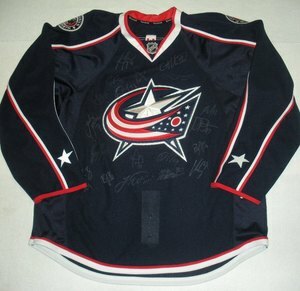 NHL Auctions and the MeiGray Group are giving you the chance to bid on game-worn NHL & AHL jerseys!! Choose from jerseys worn by Steve Ott, Randy Robitaille, Mike Grier, Chris Campoli and more!! NHL Event Banners and Media Guides!! 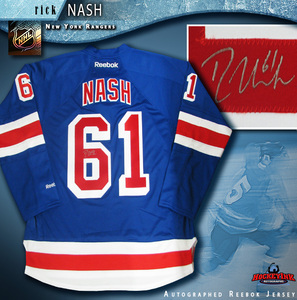 NHL Auctions is offering you the chance to bid on NHL event banners and media guides!! Choose from a 93-94 Florida Panthers Media Guide, Winter Classic 2009 McDonalds Flag, 03-04 NY Rangers Media Guide and more!! All auctions started at $1!! Foundation Fightning Blindness Charity Auction!! NHL Auctions and the Foundation Fighting Blindness want you to help fight blindness by bidding on collectibles only offered on NHL Auctions!! Choose from a Daymond Langkow signed Calgary Flames jersey, Niklas Backstrom signed mini helmet, Ilya Kovalchuk signed puck, Eric Staal signed hat and more!! BID NOW!! Proceeds Benefit the Foundation Fighting Blindness!! Minnesota Wild Premium Bench Seats!! NHL Auctions and the Minnesota Wild are offering you the chance to sit between the home and visiting benches while the Wild battle the Dallas Stars on Tuesday, April 2, 2009!! The auction includes four (4) premium seats between the Wild and the visiting team's bench and dinner at the Wild's private Fishing Lodge, featuring complimentary drinks and snacks. Bid Now!! Partial proceds benefit the MSE Community Giving Fund! !